Today is National Popcorn Day! Popcorn is one of my very favorite top snack foods! I love to curl up on the couch at night to watch my favorite shows on the DVR and dive into a big bowl full of popcorn. To celebrate National Popcorn Day I have come up with a super easy Parmesan Pepper Popcorn Recipe to add a little extra savory flavor to your next popcorn snack. 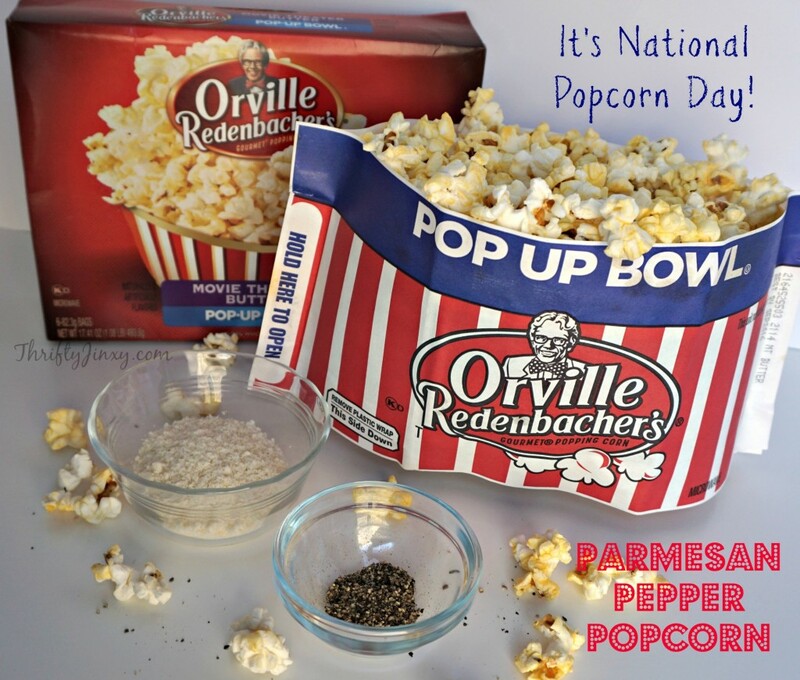 Of course you can make this with air popped or stove-top popped popcorn, but I partnered with Orville Redenbacher’s for a campaign today and used Orville Redenbacher’s Movie Theater Butter microwave popcorn in the convenient pop-up bowl for mine. Top with parmesan and pepper. 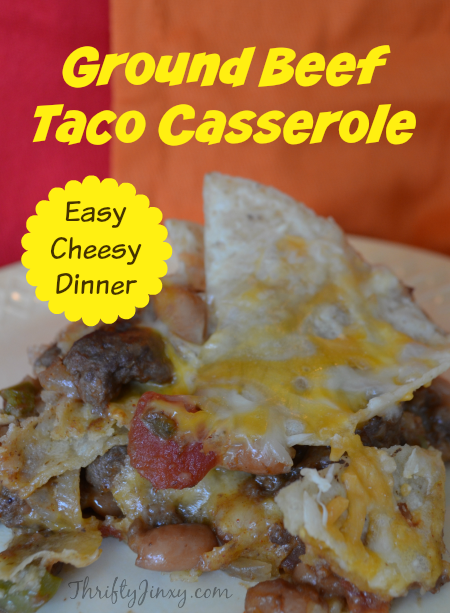 This Easy Taco Casserole Recipe is one that I have been making for about as long as I have been cooking on my own. That’s because it is EASY and it is GOOD!! It’s so simple to assemble without a lot of time and the result is delicious. It also makes GREAT leftovers, but I recommend heating them up in the oven rather than the microwave if you want the chips to stay crispy. 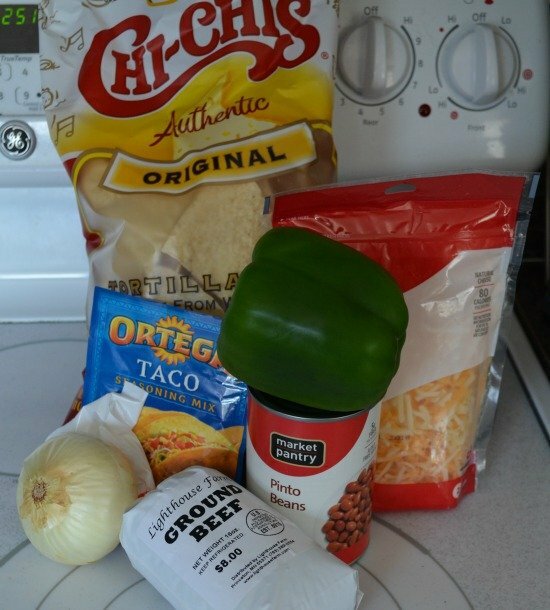 The recipe uses a packet of taco seasoning mix, but you can substitute your own homemade taco seasoning – something that is super easy to mix together and keep on hand in your pantry. Another possible variation for this recipe is to make it with chicken instead of beef. To do that, I just dice up two chicken breasts and make sure it is cooked all the way through as the first step of the recipe preparation. 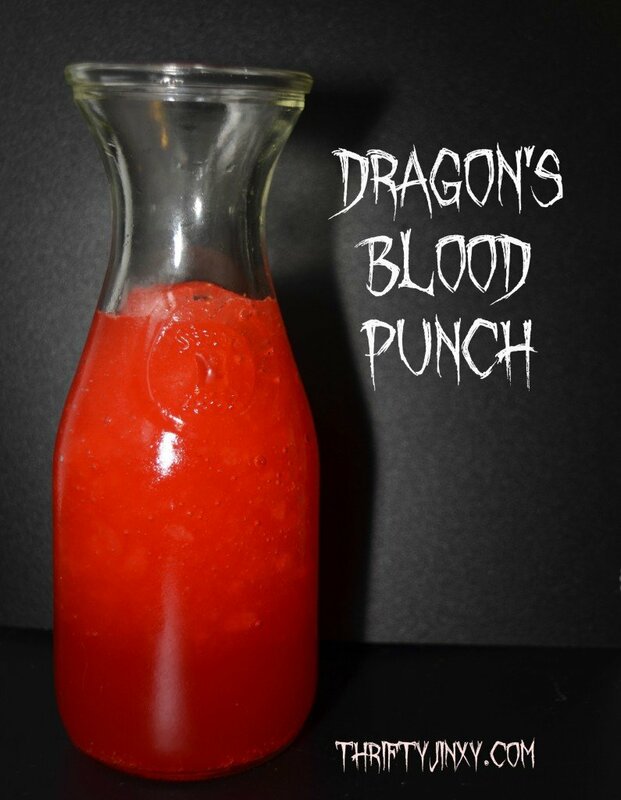 This Dragon’s Blood Punch made with Hawaiian Punch and 7-up is quite delicious. While it is perfect for Halloween with its deep blood red color, I think this may end up being a year-round party drink for us. Seasoning salt is an easy way to perk up a recipe. It is also great “straight up” as a seasoning for potatoes, chicken, popcorn and more. 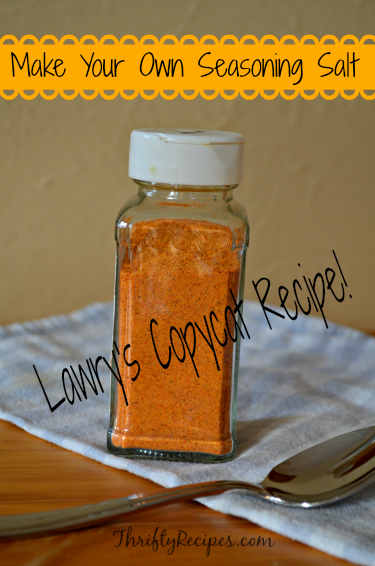 If you want to save a bit of money over prepackaged seasoning salt, or if you just prefer to know exactly what ingredients go into your seasoning, here is an easy Lawry’s Copycat Recipe to make your own seasoning salt. Mix all of the above in a small bowl until well blended. Store seasoning salt in an empty spice bottle or other airtight container. 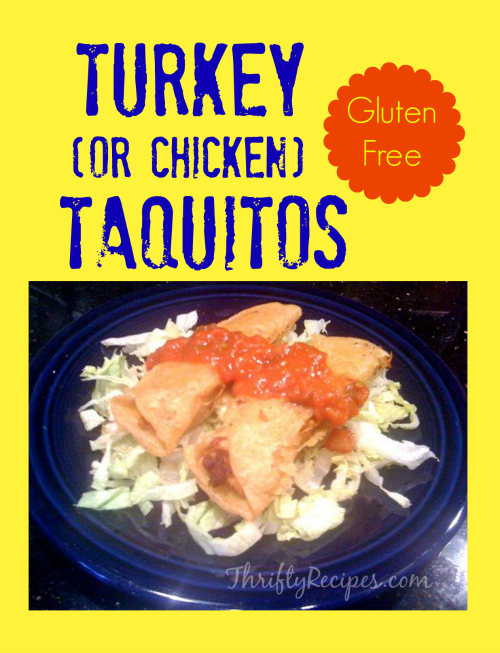 Turkey (or Chicken) Taquitos Recipe – They’re Even Gluten Free! This recipe comes from Christy at The Shopper’s Apprentice. These Turkey Taquitos are a great way to use up leftover turkey, or you can substitute chicken if that’s what you have on hand. 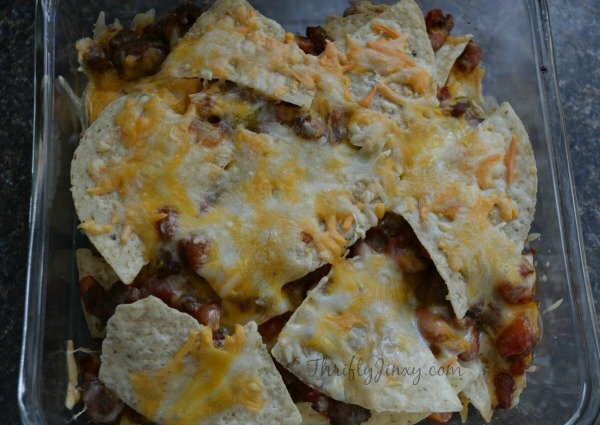 They are crispy and delicious and a way to turn your leftovers into something special! Lightly sprinkle each tortilla with water. Wrap the stack in aluminum foil and place in a 200 degree oven for 10 minutes to soften. Leave in foil until ready to use. 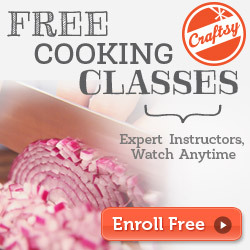 In a skillet, combine meat, seasonings, water, onion, and garlic. Stir well. Bring to a boil, reduce heat and simmer 10 minutes. Place 2 Tbsp of the mixture in the center of each warmed tortilla. Roll up tortillas tightly, securing with toothpicks. In a large, deep saucepan, heat oil to 375 degrees. 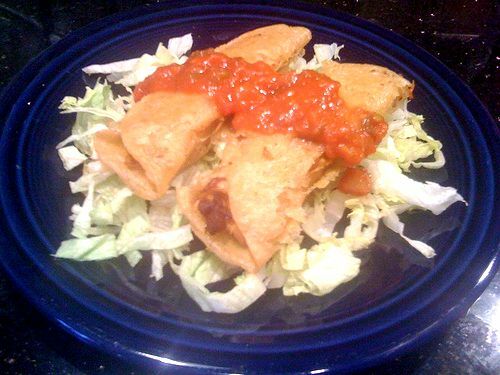 Fry rolled tortillas in oil until golden brown and crisp. Drain on paper towels. Keep warm in oven. Remove toothpicks before serving. To serve, place on a bed of lettuce and garnish with salsa and guacamole. It’s time to get ready for back-to-school and time to start thinking about some fun ideas for lunch boxes and after-school snacks. 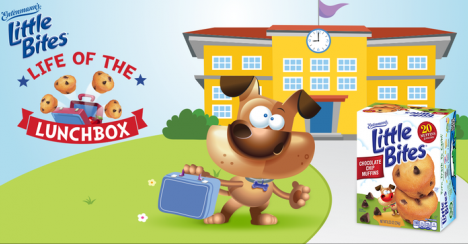 Sara Lee® Snacks and Entenmann’s Little Bites® baked snacks are ready to help with their ABC’s of Back To School campaign. 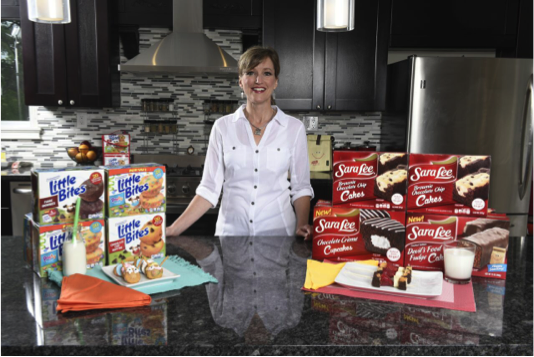 In the video below, Kathleen Robbins, head baker at Sara Lee Snacks, Entenmann’s Little Bites is a full-time mom and shares with us how her family gets through the mornings with some tips and DIY homework helpers, the fun Little Bites Party Cakes Caterpillars and exciting Sara Lee Brownie Chocolate Chip Snack Kabobs! We had a chance to try two of the newest creations from Sara Lee and Entenmann’s – both ready to be popped into a lunch box or enjoyed as a yummy after-school treat. 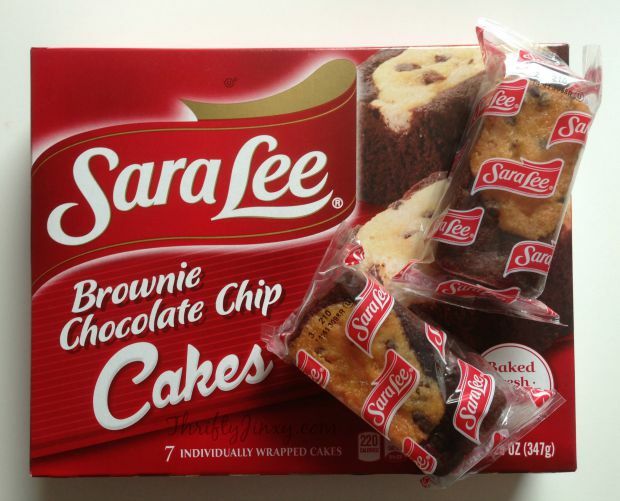 Sara Lee has a brand new snack: Brownie Chocolate Chip Cakes. These fresh baked, individually wrapped snack cakes, are perfect for the lunch box. They are made with a double batter mix of brownies and the classic favorite chocolate chip. 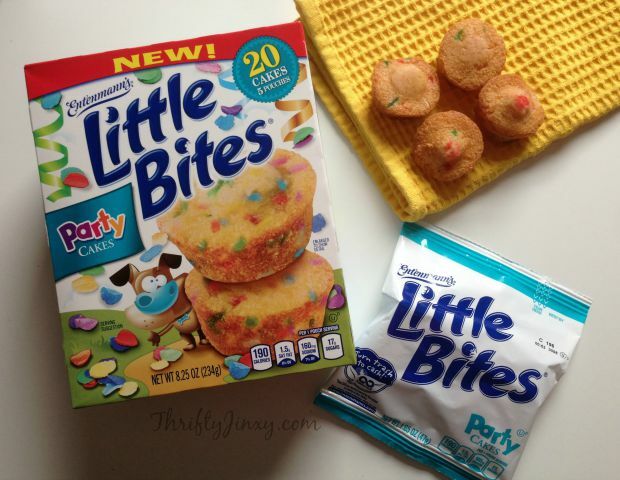 Entenmann’s Little Bites are pre-portioned bite sized muffins and brownies and they now have a NEW flavor: Little Bites Party Cakes. These golden mini cakes are cute and fun with rainbow sprinkles. They can make any day a party! Little Bites is also hosting a “ Life of the Lunchbox” sweepstakes from August 1st through September 25th on the Little Bites Facebook Page. 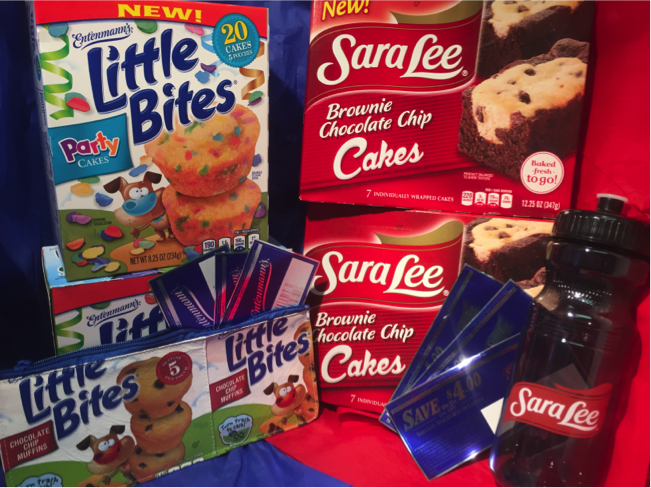 Reader Giveaway: One lucky Thrifty Recipes winner will win a back-to school prize package, valued at $60 – including: two boxes of Sara Lee Brownie Chocolate Chip Cakes, two boxes of Little Bites Party Cakes, three Sara Lee Snacks coupons valued at $4 each, three Entenmann’s Little Bites coupons valued at $5 each, one Sara Lee Snacks water bottle valued at $5 and one upcycled Little Bites pencil case valued at $10. To enter, just complete the entry form below by 11:59pm on 9/4/15. Good luck! 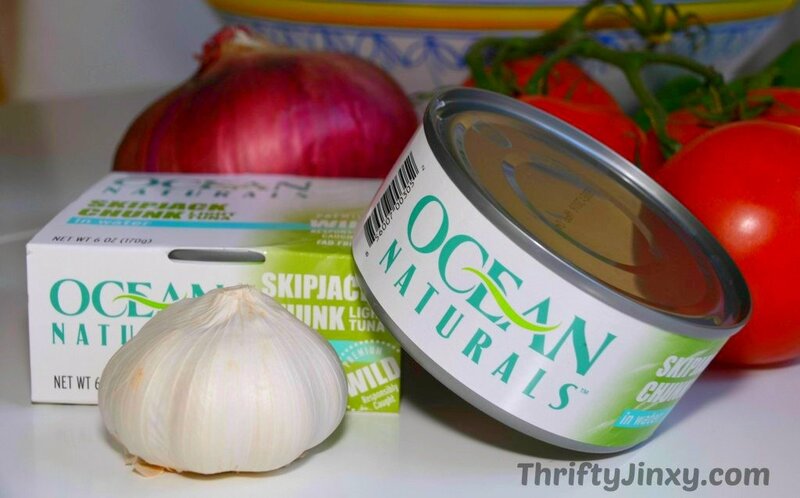 Tuna can be a very versatile staple to keep in your pantry. Of course there are the old standbys of tuna salad sandwiches and tuna noodle casserole, but there are a LOT more possibilities beyond that. 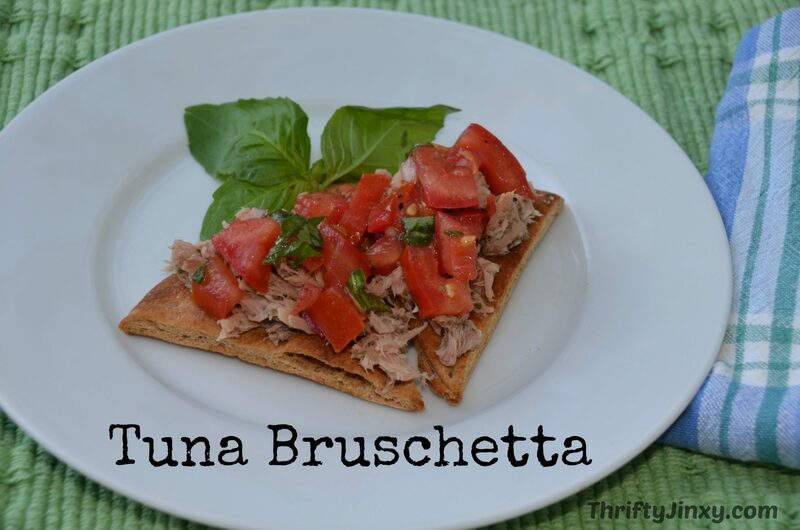 Case in point: this Tuna Bruschetta Recipe. 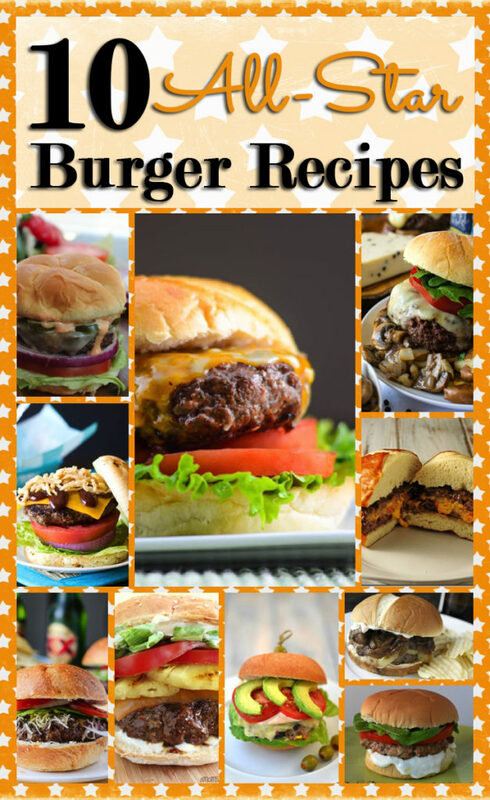 It uses fresh, simple ingredients and is packed with nutrition. It is light and perfect as an appetizer or as a lunch all by itself. Heat oven to 375 degrees. 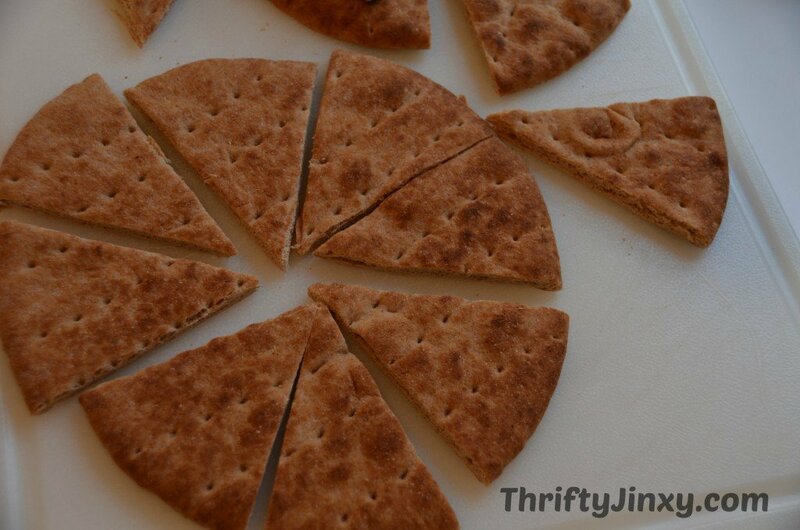 Cut each pita into eight wedges. Brush lightly with olive oil and sprinkle with coarse sea salt. Spread in a single layer on a cookie sheet and bake for 10-15 minutes, flipping once. Let cool. In a medium bowl, combine tomato, basil, onions, garlic, olive oil and vinegar. Sprinkle with salt and pepper. Refrigerate tomato mixture for at least 20 minutes to blend flavors. In a small bowl, combine tuna with Italian seasoning and salt and pepper to taste. To serve, place a spoonful of tuna on each pita wedge. Top with tomato mixture. Enjoy!! We’re headed toward the end of summer, but there is still plenty of time left to cool off on a hot day with ice cream and keep the good times rolling with blue Bunny! Plus, this Sunday, August 2nd, you can check your local newspaper for a coupon for $1 off* Blue Bunny cartons, sandwiches and bars. Whether it’s the signature Bunny Tracks, classic Simply Vanilla ice cream sandwiches or irresistibly fun Mini Swirls, ice cream aficionados throughout all 50 states can choose from tantalizingly tasty Blue Bunny ice cream flavors and a delectable collection of cones, sandwiches and bars. *The following states will receive a $.75 cent offer: NV, ND, CA, ID, KS, LA, MN, TN, WI, CO. Offer not available in DE and WY. Click here to find a retailer that carries Blue Bunny near you. For more information about Blue Bunny, visit www.bluebunny.com. 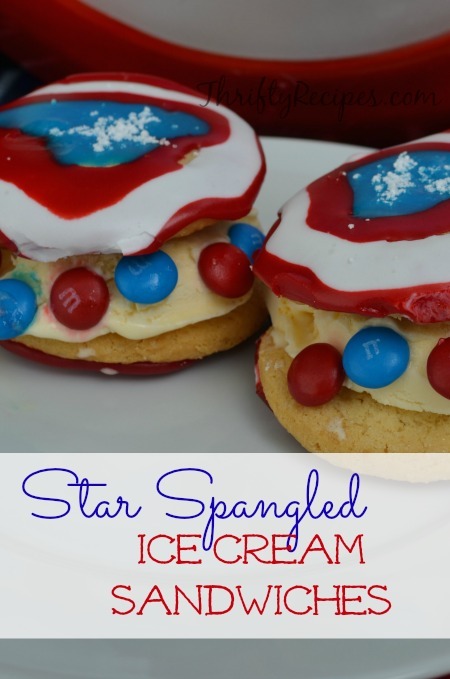 You can use your Blue Bunny ice cream to make these Star Spangled Ice Cream Sandwiches! What is your favorite flavor of Blue Bunny Ice Cream? Summer is nearly here and that means it is the season for refreshing, light and delicious drinks! I personally love drinks with real fruit added to them. This easy recipe starts with ginger ale and then makes it special with the addition of frozen berries. You can use regular ginger ale, or opt for a lighter option with a low-calorie soda. Mix the sugar with the frozen berries in a small bowl. Microwave until starting to soften. Place berry mixture in blender and pulse until a puree forms with a few large chunks of berry remaining. To serve, put ice cubes in a glass. Add a big scoop of berry puree. 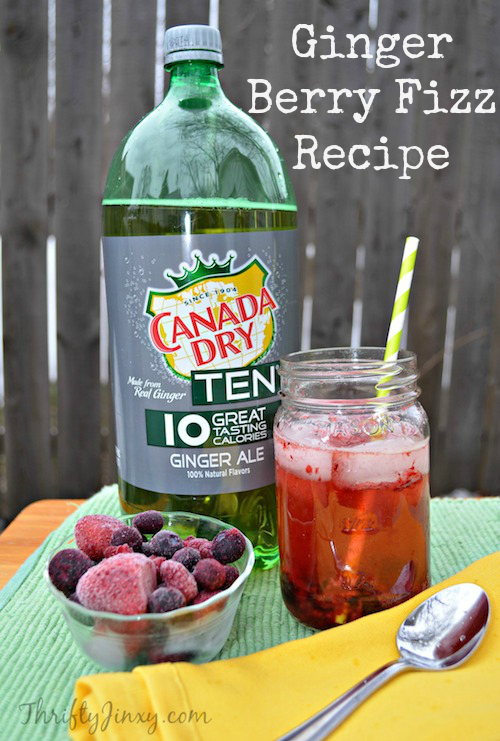 Fill glass with Canada Dry TEN Ginger Ale, stir and serve!